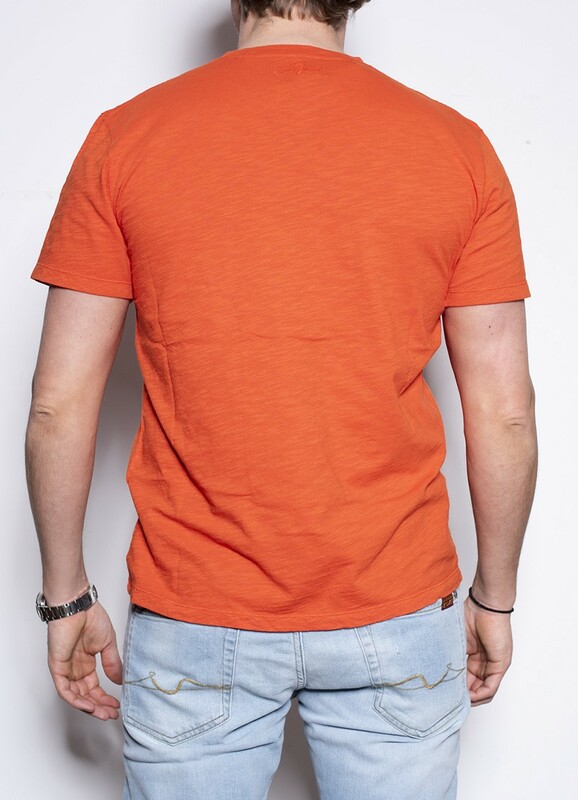 7 For All Mankind’s Tiger Orange slub cotton t-shirt is a refined menswear staple finished with a subtle texture. 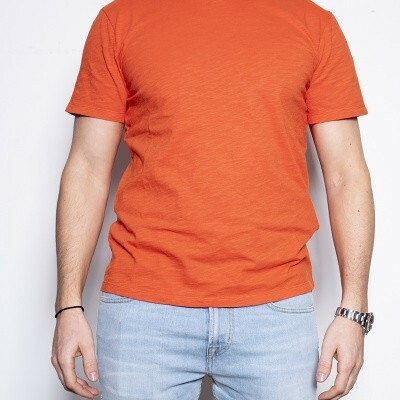 A classic crew neck design, relaxed slim fit and short sleeves. 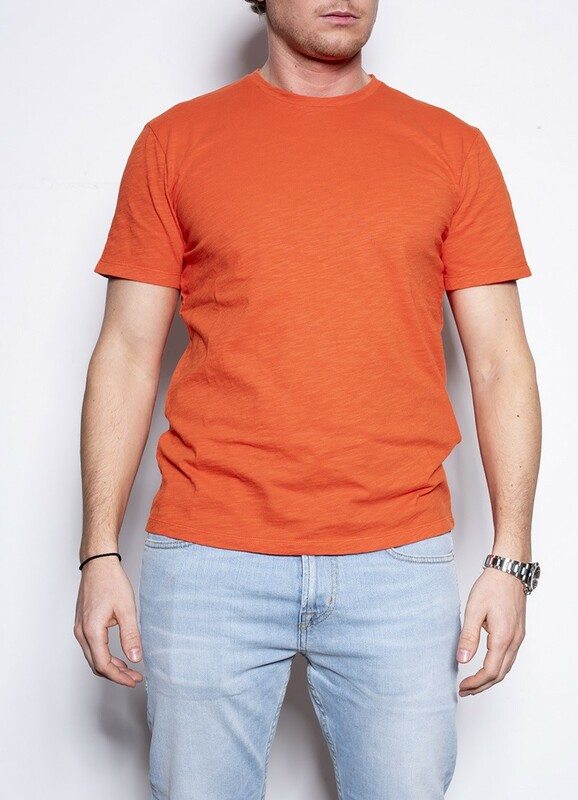 Wear as a standalone piece with jeans in the warmer months or layer with a shirt, jacket and chinos when the temperature drops.